Standing out is one the biggest challenges any conference attendee faces. How do you distinguish your brand from the sea of competing exhibitors and booths. 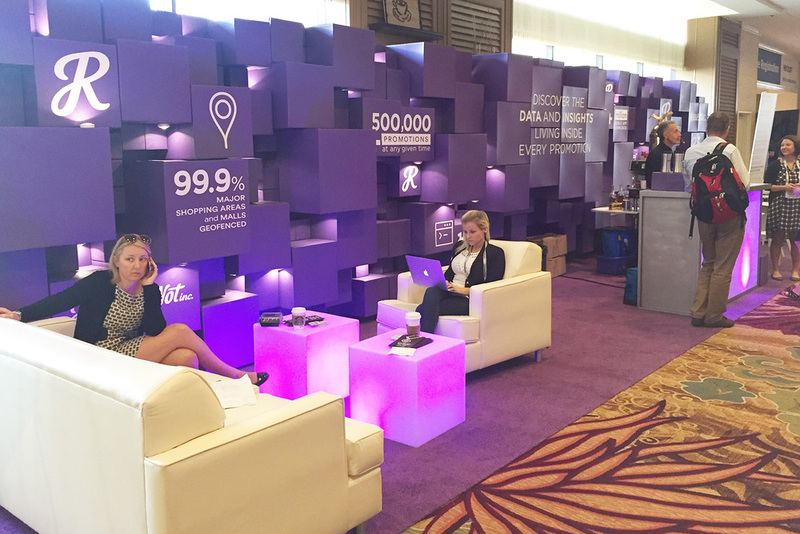 How do you get the most from your investment in a branded tradeshow exhibit environment? 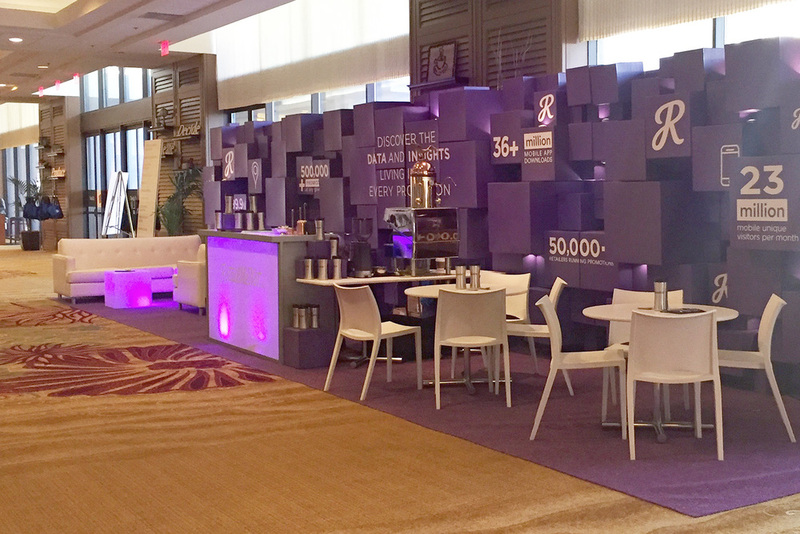 These were the questions our client had asked when they approached us to design a branded lounge environment for a recent industry conference in Palm Springs, California. 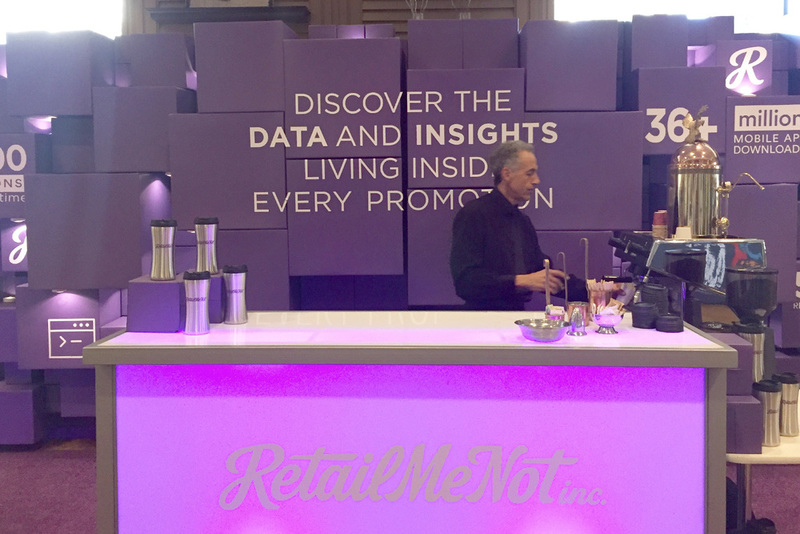 It was critical that that the branded space provide an engaging environment, that clearly expressed the brands core messaging, and came in on a tight budget and schedule. With these goals to consider we decided to pursue a bold, expressive design that was at the same time simple, and economical. 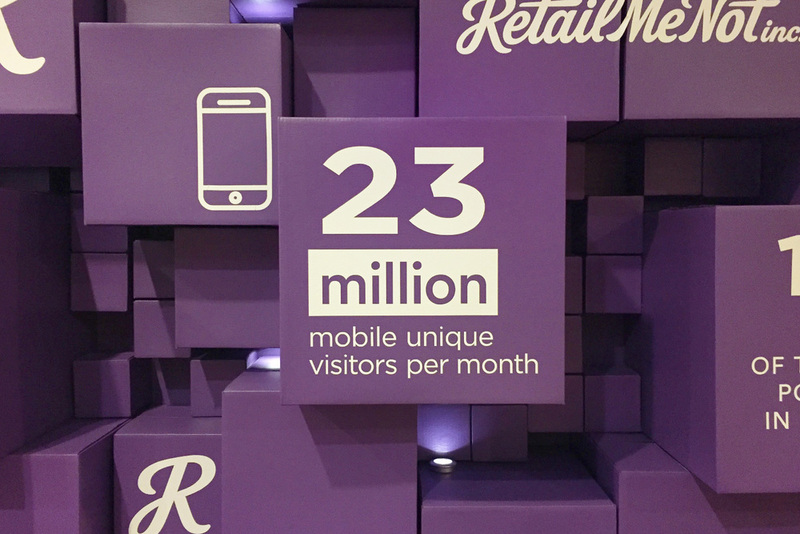 The center feature of the final design was a forty foot long wall of purple cardboard boxes with applied graphics expressing core messaging and consumer data. While being an unconventional material choice, the use of cardboard boxes solved a range of design problems. Along with being economical and lightweight, the theme of the enclosed boxes aligned with the client's marketing initiative and intended to be an expression of their tagline, "It's what's inside that counts". Check out a collection of photos from the WVUA-TV 23 studio; the broadcast studio we designed for the University of Alabama. Launched this past July, Peter has returned to check in and hear how the space is working for the client. Today we look back at the recently completed 360 Chicago Visitor Experience. With its home in the iconic John Hancock building, the project pays homage to the vibrant history and culture of The Windy City. Through cross-disciplinary collaboration, we crafted a engaging, narrative driven experience and environmental design.